I use NF when I need to. I had my car remaped for the Water Injection and have zero det anyway. thanks for the advice guys, i think i may get mine mapped next. has anyone got a service book they can scan in? i have been filling in my japanese schedule but it looks naff, need to get my hands on a regular schedule or log book? any ideas? also, does anyone know what the A/P button means next to the i/c spray one? to come....new MAF sensor , de-tango, defi gauges, knocklink, coilovers + better pics when we get better weather! re i/c spray question...cant go and look he's cos locked away for winter but there's a button for manual spray amd a button for automatic spray on mine. is this what u mean? nice one miss scooby, great motor!! regarding the switch, its next to the auto spray button and just says A/P. def not the manual one, i have that too. looks like a subaru switch, exactly the same as the others and the rear fog light is at the other end. doesnt seem to do anything? How does NF race work compared to Millers???? Hi mate your car is a V-ltd the V5 didn't have a plaque, that came on the V6 with the blue seats and dash! Wicked, thought it was a ltd (did have it on the receipt from the importers) but didnt know that the V5 didnt have any plaques! Well happy now (if only I hadnt been pulled over for too loud an exhaust! Glad to hear the old car is still attending the meets!! I'll try and pop down to one of the meets to catch up!! 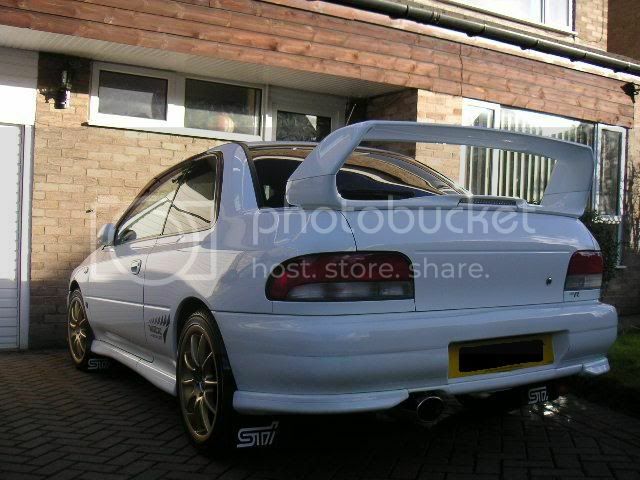 come on guys and girls there must be more lovely Type R's worthy of the gallery? Here's mine in winter gold and summer silver. Last edited by richiewong; 08 February 2004 at 02:51 PM. This must be the TypeR CORNER! I said id put some newer ones up with the refurbed P1 alloys in Black Chrome. Cheers Simb, the alloys might be up for sale in about a month, I'll let you know. I have to say I have never REALLY looked at the type R's but having looked at this thread I would sell my brand new STi8 for one. They are gorgeous. Love the black wheels on the grey one all the blue ones, the white one .mmmmm infact they are all great. I will have one one day. 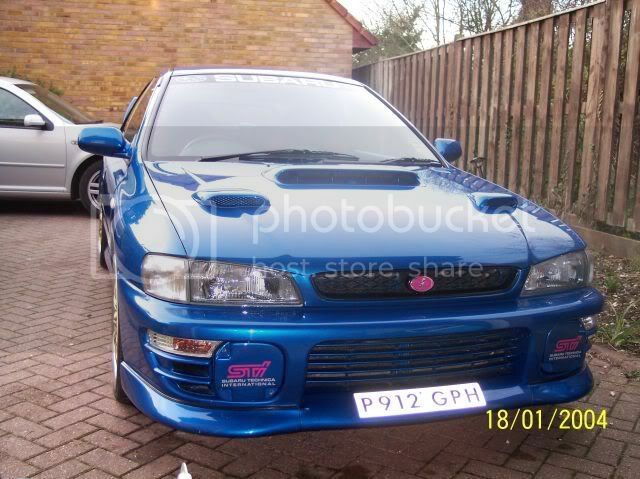 Dont worry Gary, Im contemplating an STI8 at the moment. Anyone had their ecu upgraded on a 98 V4 if so what to and who did it for you? Mines got a link, but it was in when I bought it. What I can say is that it was originally mapped for a mild 97ron (304BHP/278Ib.ft) back in 2001 and when I remapped to Optimax (No Octane booster) and my upgraded topmount it quickly spun out the clutch. So it was up on power to start, but now quicker with a lot more advance than before and no det..